April 23, 2018 (Huntsville, Ala.) — Waymon Armstrong, CEO and president of ECS, announced that ECS has been selected for maintenance training and modernization upgrade programs for the U.S Army Program Executive Office – Aviation (PEO Aviation), in the Project Manager Cargo (PM Cargo) and Project Manager Apache (PM Apache) offices. Beth Kramer, Vice President of Operations, Huntsville, will lead both projects from the ECS Huntsville office. The PM Cargo project includes building a modernized training solution to upgrade the CH-47F Chinook. This enhancement involves significant structural, software, and systems updates. The ECS team will also develop customized training solutions to help educate soldiers on the differences between the Multi Year II Configured Chinook, which features enhanced engines and improved avionics, and the Chinook Block II CH-47F upgrade, which provides greater lift capacity and strengthened features. In addition, ECS will integrate maintenance training programs for both the AH-64D Apache Longbow, the U.S. Army’s heavy division/corps attack helicopter, and the AH-64E Apache Guardian, also an attack helicopter, as part of the PM Apache’s contract scope of service. These programs will be implemented by the ECS instructional systems designers through the development of courseware that covers both airframes. ECS is an award-winning global services and solutions company that is headquartered in Central Florida, with a second office in Huntsville, Alabama. 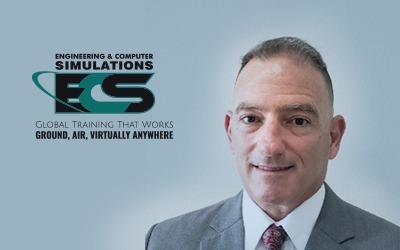 ECS specializes in training, technology, and consulting services across a wide range of technology platforms that support aviation, aerospace, healthcare, and other industries. 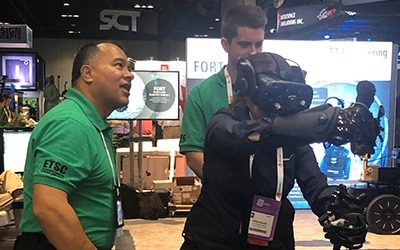 Its diverse portfolio includes 2D and 3D visualization as well as augmented, virtual, and mixed reality to produce immersive and relevant advanced learning technologies and services for both government and commercial clients. The ECS services, support, and staff augmentation teams place experienced and relevant personnel, including instructors, operators, and staff, with the joint military services throughout the U.S. and internationally.